Meeting the needs of Patients, Physicians, Pharmacists, and Medical Researchers with time saving and productivity enhancing apps and services. The healthcare industry today is under siege from rising costs, tougher regulations and the growing demand for quality services. Mobility solutions provide innovative and effective ways for healthcare institutions to increase efficiencies and improve service quality. Easy, quick and reliable access to patient records, collaboration and sharing of patient information and decision-making on the move – these are just a few of the ways in which mobility is driving up productivity and reducing errors for our customers. 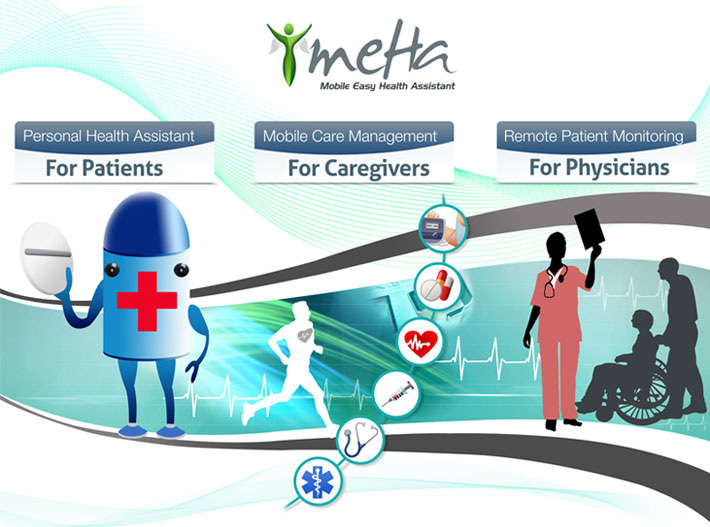 With several years of experience in the multimodal Healthcare arena we have designed Mobile Easy Health Assistant “meHa” for Patients, Caregivers and Physicians. Openstream is a corporate member of the American Telemedicine Association, and has presented Multimodal Healthcare at the W3C® plenaries. Mobile Hospital Solutions including Material Tracking, Recording of Vital Signs. Out-of-4-walls applications including Remote Nurse, Remote collaboration with HCPs. Clinical Trials solutions including Adverse Event Reporting, Patient Diary, CRA functions. Multi-factor Security for HIPAA conformance. Multi-modal technology for fast and accurate recording of Vitals and other information. Manage all your mobile offerings from a single management platform. Leverage best of both worlds - native and web, without sacrificing portability.